The J.K. Adams 20-Inch by 14-Inch Traditional Carver with spikes is the ultimate board for red meat. The grooves routed into the board's surface in a traditional well and tree pattern are gently sloped to direct meat juices into the large well where they can be easily spooned out for gravies, sauces and au jus. Made of maple wood with a protective finish. Hand wash with warm soapy water and dry promptly. Manufacturer’s 5-year warranty. 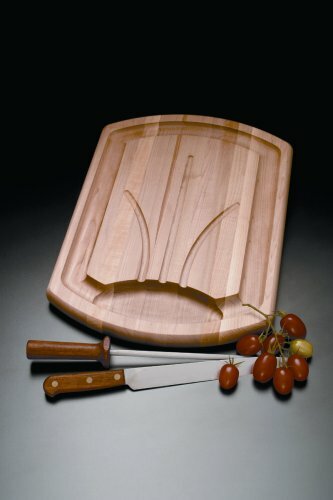 J.K. Adams Company has created American made wooden cutting boards, wine racks, knife racks and knife storage since 1944. 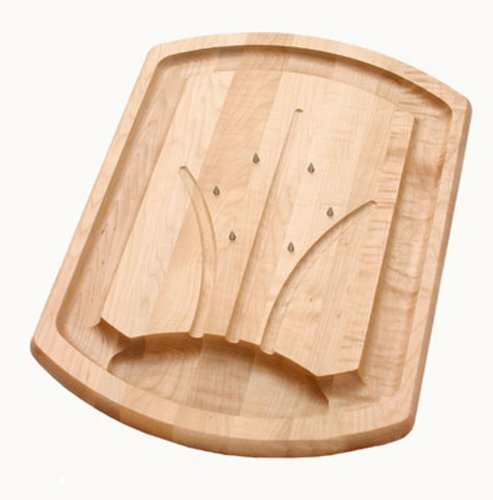 J.K. Adams continues their New England craftsmanship with wooden salad bowls, kitchen islands and slate serving trays. J.K. Adams Company – Kitchenware for Life. If you have any questions about this product by J.K. Adams, contact us by completing and submitting the form below. If you are looking for a specif part number, please include it with your message.